A Christ centered support group for home school families, with a focus on providing a social and educational outlet for homeschool parents and children. Here you can meet and get to know other home school families, plan get togethers, field trips, games, celebrations & help grow our home school community! All members are welcomed to post activities, celebrations that everyone is invited to, field trips, conferences, etc... However, all new members will be moderated until the owners know that you are a legitimate home schooler. 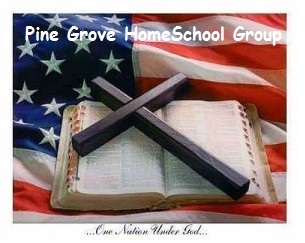 If you know of home school families who are not a part of this group, please encourage them to join & participate! If you know home school families who cannot join the online forum, they are still welcome to join our group for activities so keep them informed!! Keep your eye on the calendar for new postings! If you sign up for e-mails, you will receive reminders for activities that are posted, posts directly from members of the group, and things that are forwarded to the group from members that are of interest to the home schoolers in our area! If you receive too many emails, you may sign up for a daily digest format & you will receive one email per day with all postings for that day. PLEASE NOTE: This group is not a "babysitter." For your children to participate in a particular activity, an adult must be with them. If you, as a parent, cannot participate, you may, at your own discretion, have another adult participate in your place, but each child must be in the care of an adult who will be fully responsible for your children. We will keep a participation agreement on file for each member who joins us for outings! All members will be held to a Code of Conduct that will be sent to each member. Also, this is not a 3rd option accountability group. For the safety of our members, NO request for membership will be approved until all requested information is received. Thank you! Join in and write your own page! It's easy to do. How? Simply click here to return to Homeschool Support Groups.